Oh Susan, this post made me drool :) I just LOVE omelettes, anytime! I am still learning to spice up my non-fiction writing with personal stories. So yeah, thanks for the reminder, we need good and tasty ingredients to make a great dish. Hi Marja - I'm with you on both the omelets and the non-fiction writing. Hi Jess - I love omelets any time of day. Breakfast foods are my favorite. I love omelets! We have a place not far from us that serves 4 egg omelets! I try to always add a dash of real life characters, and sprinkles of love and devotion to my fiction. Love the comparisons here- from ingredients in omelets, to qualities in characters. Great post Susan! Have a blessed week! Susan, I love eggs, too. But my special breakfast treat is my homemade waffles. 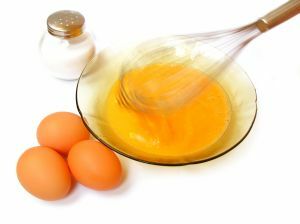 I beat four egg whites (the yellows go right into the batter) and use half orange juice and half milk. They're wonderful. I just can't have them too often! Suddenly I am hungry...:) I like to add dialogue and description to my fiction writing. I am working on getting better at sensory details. Hi Loree - I usually make 2-egg omelets. It's just enough for me. Real life characters, love, and devotion make for a special reading experience. Hi Maria - Thanks, Maria. Enjoy your week as well. Hi Dena - Ooo, they sound yummy! Hi Karen - While writing this post, I had to restrain myself from making an omelet! I don't cook breakfast, but I love to eat out in the morning. I love omelets. Congratulations on finding a recipe that you like. Hi Susan.....Delish. Sounds absolutely delish. I like to add lots of "spice" to writing and recipes. No blandness, no plain oatmeal. ha! Take care and have a good Wednesday. I love omelettes, too, Susan! My favorite ingredient in them is mushrooms. My favorite spice in writing is humor, and snappy dialog comes in second. I love any kind of cheese for breakfast, and always fresh fruit. Occasionally I'll have a slice of bread or half a bagel. Did you know that a whole bagel is equivilent in calories to five slices of bread? YIKES!!! !